The squared off base has been finished with a stunning silver colour, which keeps in with the modern design perfectly. Complimented with a grey shade, which fits with the silver finish due to the similarities in colour. 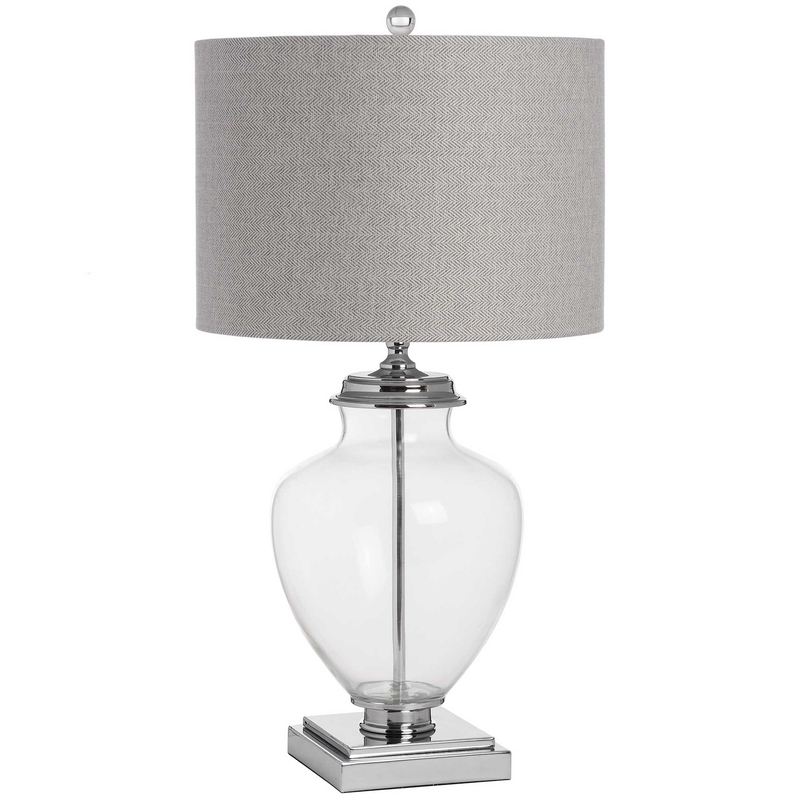 Decorated with clear glass, to offer some extra style, this will table lamp will instantly make an impact in your household.